For this year’s birthday, it was both a celebration of life and food in Tulum, Mexico. Cooking in New York City for close to 16 years now, I’ve had the pleasure of working alongside many phenomenal Mexican cooks. Similar to my Italian culture, Mexicans are raised on a very local, indigenous and extremely flavorful cuisine. Over the years, some of my favorite times spent in the restaurant have been standing around enjoying staff meal with my cooks after they’ve prepared traditional Mexican dishes. My personal favorite is Marta’s Puebla-Style Mole. 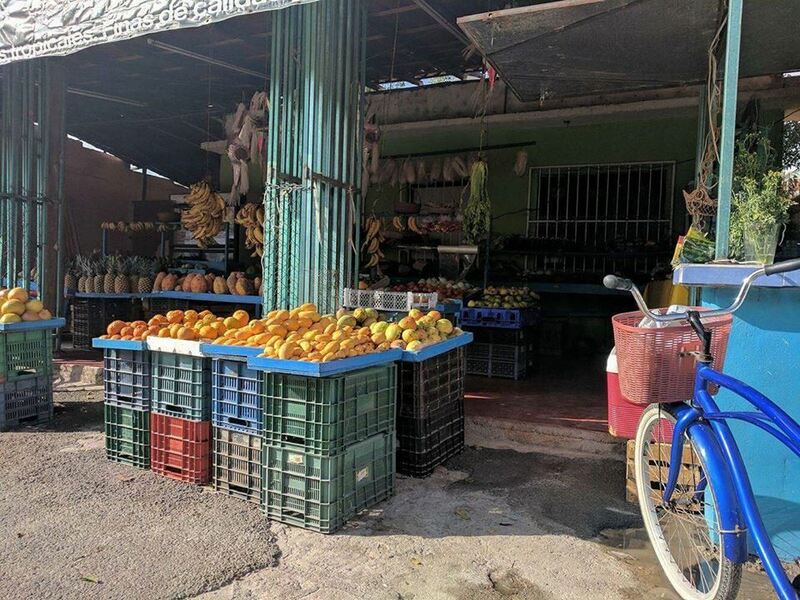 I was especially excited for this trip to Tulum, not only because of the sheer beauty of the area, but the mixture of very regional recipes deriving from the Yucatan, as well as a huge influx of fine dining restaurants in beautiful outdoor settings. To get to Tulum, it’s an easy and affordable direct flight from New York to Cancun, and about a 90 minute straight drive south. Personally I enjoy renting a car to explore, but there are many shuttles available from the airport into Tulum that are also quite affordable. Tulum is home to many beach side boutique hotels, but depending on the time of the year – they can be quite expensive. The good news is that there are an abundance of Airbnb’s available, everything from ultra luxury condos to cheap, inexpensive apartments. I like the privacy of a private condo so I ended up renting one that was about a 15 minute drive from the main strip in Tulum. One of the only issues with driving to the main strip is that there is very limited parking. I recommend utilizing bikes as much as possible. 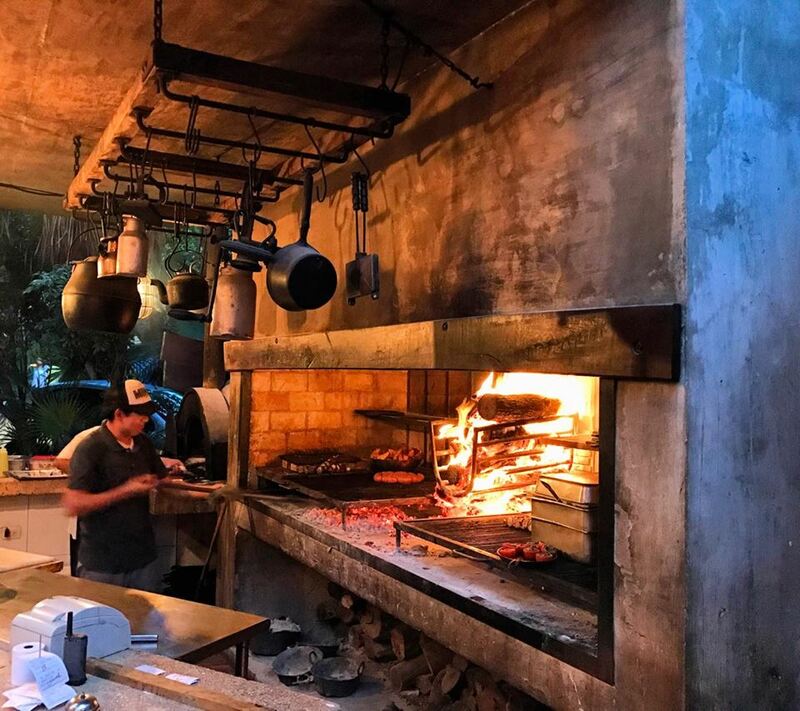 I arrived to Tulum one week before the opening of René Redzepi’s Noma popup in Mexico, so that week the hottest seat in town was still at the highly acclaimed restaurant Hartwood. To say the least, the reservation system at Hartwood was quite difficult and since this trip was last minute, I did not plan accordingly to dine there. For my first meal in Tulum, a friend from New York recommended the restaurant Arca, which is only a few doors down. Like many of the restaurants in Tulum, the outdoor dining rooms and open kitchens make you feel as if you’re having a fine dining meal with a beautiful ambiance of the jungle. Both the food and beverage program at Arca were excellent – I would highly recommend. For something very authentic, inexpensive and delicious, the best taco experience is at Taqueria Honorio. This being the most popular taqueria for both locals and tourist, you have to get there early. They open at 5am and are usually completely sold out by 2pm. It’s a very limited menu, but being how inexpensive it is – I would highly recommend trying an array of things. My favorites were the cochinita and the lechon. Because of how busy this place is, you might just visit once, so go crazy and order one of each item on the menu! In the mornings I still crave a great coffee and eggs of some sort. The breakfast spot to go to is Ki’Bok Café. For another quick and casual bite, Burrito Amor is home to best burrito I have officially ever eaten. I can understand why they call it Burrito Amor because you can tell a lot of love is put into not only the food, but the entire establishment. Both wait staff and management were very polite and eager to accommodate. Definitely order a fresh coconut water while you wait for your meal. Other food recommendations include Casa Banana and Wild Tulum. Also, just remember to be prepared with plenty of pesos because very few of the restaurants, bars and shops take credit cards. The days I felt like just relaxing, I went over to my friend’s hotel Ahau to lounge in a cabana on the most amazing beach. Ahau also has a great food and beverage program that you’re able to enjoy right on the beach. I also got a chance to check out some of the different rooms and bungalows the hotel had to offer, definitely another recommendation for your stay in Tulum. When it comes to sightseeing, Tulum is home to many different cenotes. One of the most popular is the pet cemetery, but that was closed the day I went. Instead, I went to Cenotes Dos Ojos. Take the guided tour that actually takes you into the caves. Without the guide, you’re not able to go inside the caves because they’re pitch black and full of bats. It’s a surreal experience. It might sound a little bit creepy, but it’s not once you actually get in there and past the frigid waters. The Tulum Ruins are a bit touristy, but very cool to take a walk through and daydream about what went on there during the 13th century Mayan rule. If you follow the path to the right of the ruins, it will lead you down a road that is about a half a mile long and home to one of the most beautiful beaches I have ever seen. That day, the temperature was in the high 80’s with the sun beaming so after walking the ruins for over an hour, taking a swim in the ocean felt like the most perfect place in the world. Tulum is a very peaceful and safe town that is a mixture of all the modern amenities one would want on vacation, as well as the insight into the beauty of authentic Mexico.